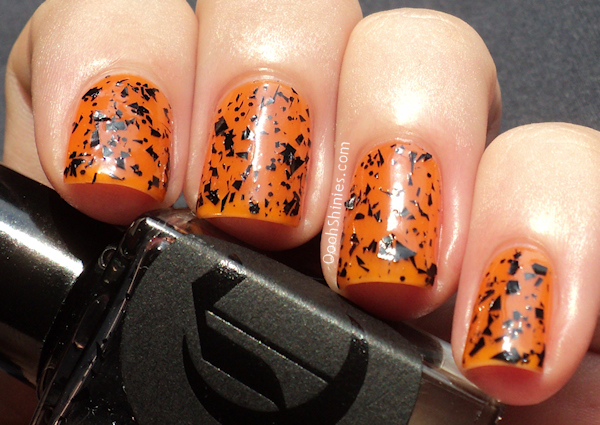 Recently I received a press kit with 2 limited edition Halloween polishes from Cirque, and I couldn't resist to swatch them straight away. 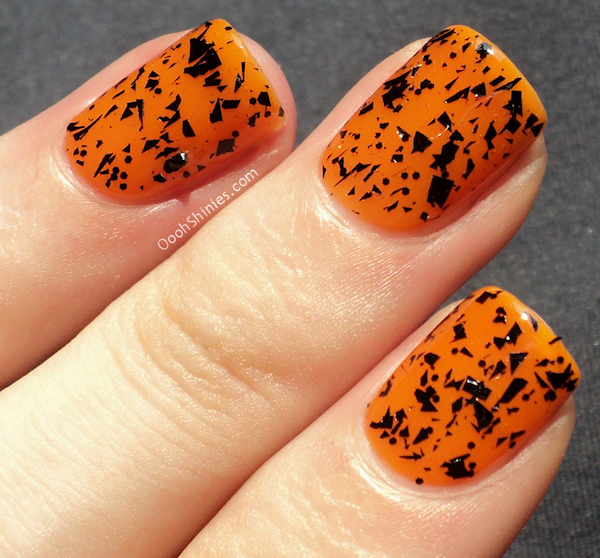 We don't celebrate Halloween here, but these sure got me in the mood for the whole thing! 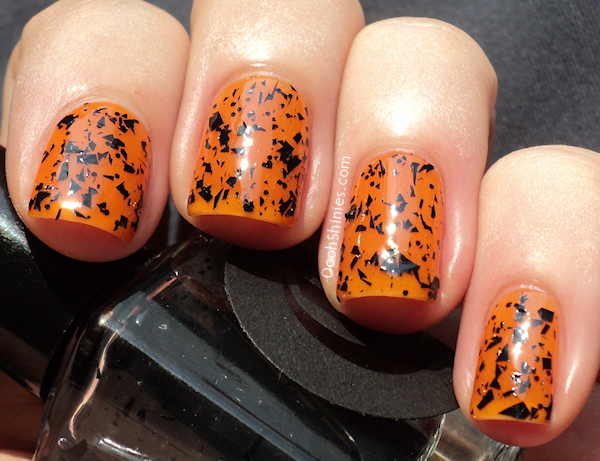 The All Hallow's Eve polishes are available from today, and here they are! First up is Kabocha, a pumpkin orange jelly. The polish applied nice and easy, I'm wearing 3 coats here without top coat. As you can see on my photos, it dries up a bit matte and slightly rough. It looks like tiny bubbles, but that's just the size of my nails on the photos, there wasn't any bubbling in real life! 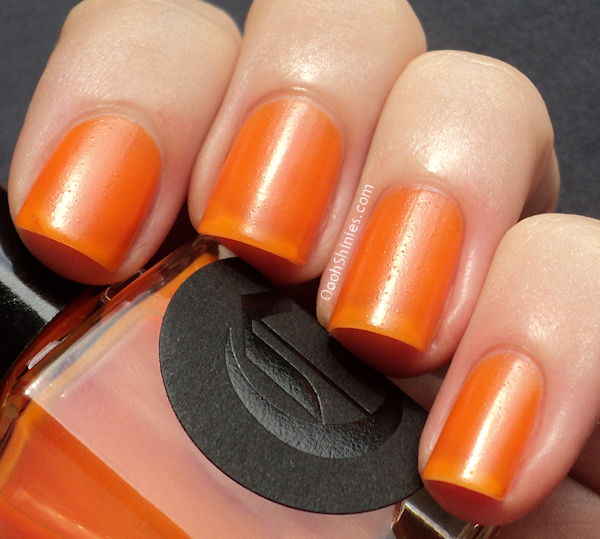 Kabocha is supposed to be a glow in the dark polish, and I've seen a photo from Cirque where it really was, but I have to be honest and say mine didn't (shaking the polish didn't help). Edit, it does glow! I didn't know you have to charge them up next to a light source! 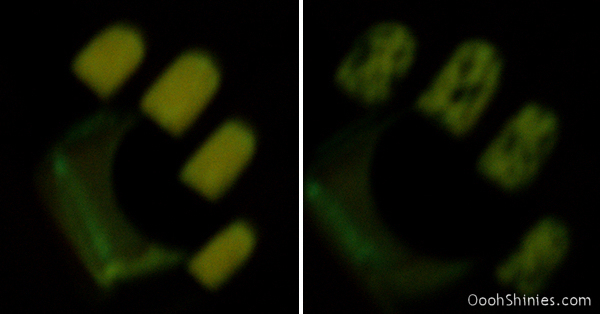 I made these photos with sunlight, but took too long before I went upstairs to try it under the bedsheets, haha. My bad! Added photos of the effect further down. Next up is Neko, a chunky black glitter. 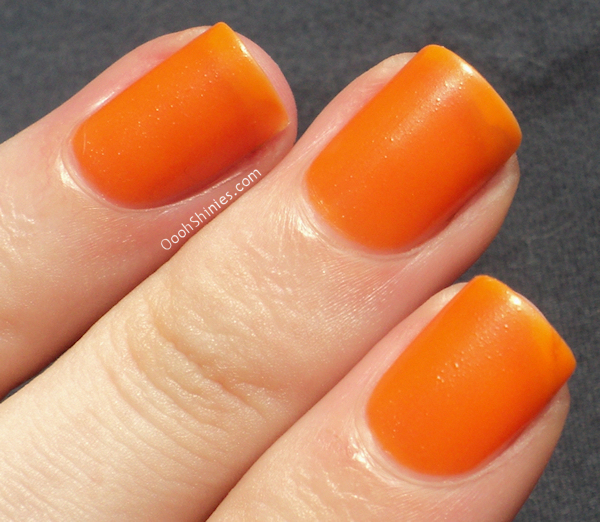 I applied 2 thin coats over Kabocha, and on the picture above I used no top coat. As you can see, it dries up pretty smooth from itself! There was only 1 little shard that curled a bit (on the side of my ringfinger nail). The application was good, when I applied it quickly it did pile on the tips a bit, but when I was gentle I could just polish it and didn't have to place the glitter. 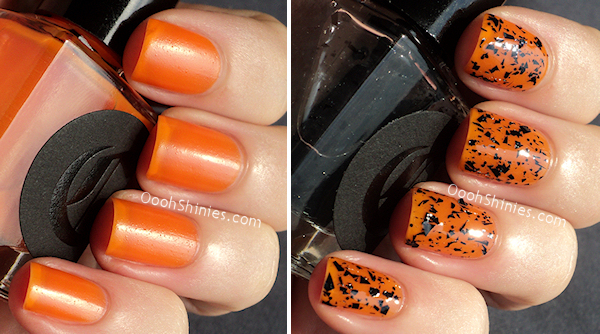 For the photos below I did add a layer of top coat, see how squishy Kabocha looks with it? - The giveaway is open internationally, but please note that Italy and Brazil aren't included (for shipping reasons). - Both bottles are brand new. - When the winner replies, I will send the email to Annie, who will then ship the polishes to the winner.